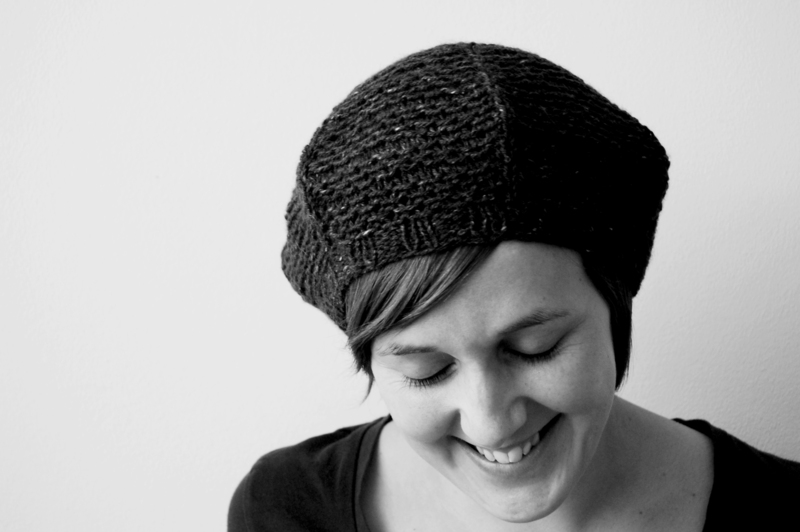 I’m very pleased to announce that Veera Välimäki will be the third teacher (along with Nancy Bush and Andrea Rangel) at my Knit For Fun Retreat in La Jolla, California, September 19 – 22. I first met Veera a couple of years ago at the Hill Country Weavers Knitting in the Hills Retreat last year. I was so impressed with her friendly intelligence that I immediately asked her to put a Knit For Fun Retreat on her calendar. Veera Välimäki lives and designs in a small village in Southern Finland. In her ten years of designing, she has focused on simple and clean lines with small fresh details. She’s heavily influenced by architecture and the relationship between art and architecture. Veera loves simple yet modern knits that are both easy to knit and easy to wear, especially ones that engage the mind as well as the eye. Veera has two books published in Finland, the names of which I can’t pronounce. Fortunately for English speakers, she has also published six (6!) 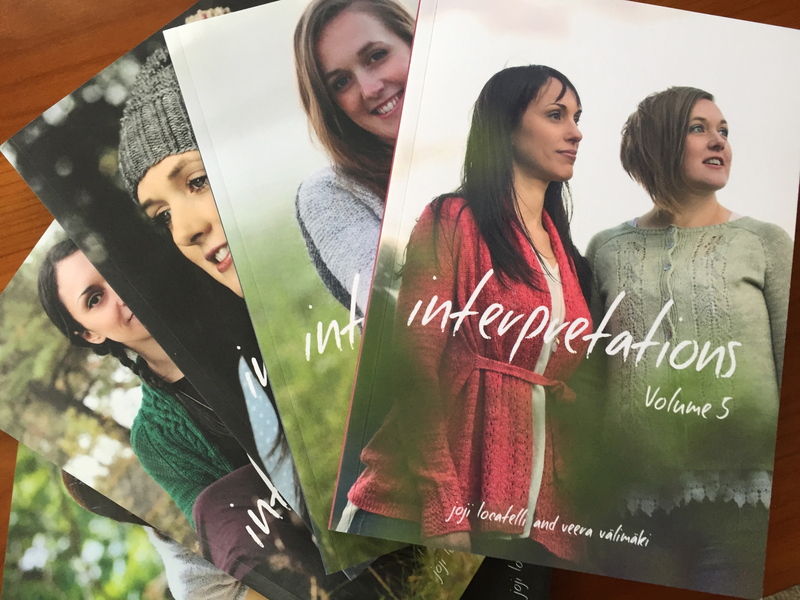 volumes of Interpretations, co-authored with Argentinian designer Joji Locatelli. Each volume features innovative designs by both authors. In a refreshing twist, the authors model their own garments. Veera’s work has also been featured in magazines and books in Finland, Europe, and the U.S.
You can follow Veera on her blog, 100% Rain. Veera will teach the following classes at my Knit For Fun Retreat in La Jolla, California, September 19 to 21. Enjoy a class that focuses on color in knitting—what to expect from certain colors, which colors to pair and which to begin with. You’ll learn basic color theory hands-on while knitting swatches. You’ll leave class full of inspiration and confidence! Learn how to add stripes to your knitting, how to best work them, and how to make stripes extra special with easy techniques. You’ll also learn what to expect from certain colors and which colors pair best, how to enhance stripes with simple stitch patterns, knitting jogless stripes in the round, working stripes with short-rows, and keeping the edges neat. This class is dedicated to the art of round-yoke sweaters. Through knitting a mini sample yoke, you’ll learn the basic construction and math, then explore different ways to add colorwork, lace, or other stitch patterns. The lovely look and wide-ranging design possibilities make a round-yoke sweater ideal for experimentation. In this class, you’ll learn the most common shawl constructions and how to take your shawl knitting to a whole new level. In addition to basic shawl shapes—triangle, crescent, square, circular, etc.—you’ll learn how to add stitch patterns while increasing or decreasing to form the desired shape. Click here for more information on the Knit For Fun Retreat that will feature Veera as a teacher.